The tables were set with linen tablecloths. The lights were dim. The dinner was delicious. People seemed to be enjoying themselves. And by the end of the night, many were moved to donate to help this adoption agency fight the orphan crisis. I confess that I was enjoying the annual banquet with my husband and friends just as much as anyone! But this time, something seemed to be missing. Something felt a little “off” to me. I couldn’t quite put my finger on what was bothering me until we were on our way home. Now, don’t misunderstand me. 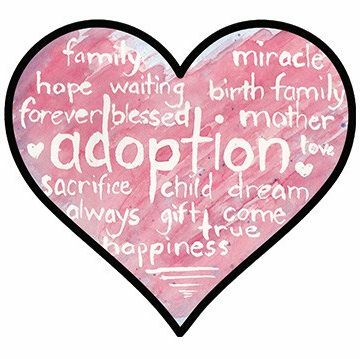 I have long supported these adoption agencies and have pointed friends and strangers alike to seek their aid in adopting. They have done wonderful things for the orphan crisis and have brought many lonely into families. But these agencies exist because there was a need to fill. They exist because the church (as a whole) gave up. These numbers are staggering! The church alone could virtually wipe out the orphan crisis in America, yet there are 500,000 kids without a home! I can’t wrap my mind around these numbers! When did the church stop participating in orphan care? Especially when it’s clearly commanded in scripture. maintain the right of the afflicted and the destitute – Ps. 82:3. Religion that is pure and undefiled before God the Father is this: to visit orphans and widows in their affliction, and to keep oneself unstained from the world – Js 1:27. I’ve been doing some research on orphan care in the Bible, and it appears that formal adoption was not really an issue within the Jewish community. In fact, the two main reasons for adopting someone was to either allow them to receive your inheritance or to help take care of elderly people who may not have had children to care for them. When a child was orphaned, the extended family simply accepted that child into their home. It seems that’s the way orphan care was handled up until the 1800’s in America. With more and more people sailing to make a new life in America, more children were coming in, literally, by the shipload! Of course, it was typical for many of the people on the ships to die en route or to succumb to sickness once they reached land. Without a lot of family around, many of these children were placed with random families and eventually – between the 1850s to the 1930s – on “orphan trains” and sent to families in need of extra help (americanadoptions.com). As the need to find foster homes increased, agencies, laws, and court procedures were put in place as a means to find families for these children. But the need has become overwhelming, and the court systems are bogged down with cases that come before them every day. It’s time for the church to step back in. We need to come together to provide a community of support for these struggling families. We need to be able to provide assistance for single mothers (or fathers) who want to keep their children but can’t parent alone. We need to be in the lives of these children, so they know that their family isn’t limited to just people with the same DNA. I don’t claim to have all the answers about this. I don’t know the logistics or what it would take to get the church to rally around its community. I am sure there are cases where the church has tried to help, but their help was more of a crutch than a tool to build a stronger family unit. I understand. We are dealing with broken people in a broken world, so everything we do has its risks. I actually read about one church out West that decided to attack the orphan crisis in their own town, and they did it with their whole heart. Within a year, all of the children in the foster care system in that town had been adopted, and there were families on the waiting list! In my state, there are over 3,000 children in foster care – and not enough homes to take them! The need is great! Christmas is here, and over 500,000 children will not be home for Christmas. The time to act is now! Don’t tell me that you can’t do it because your heart would break. The children need you! Don’t tell me you don’t have enough room. The children need you! Don’t tell me you can’t deal with the biological family. The children need you! As we look forward to a new year, let’s work together to end the orphan crisis here at home and abroad.